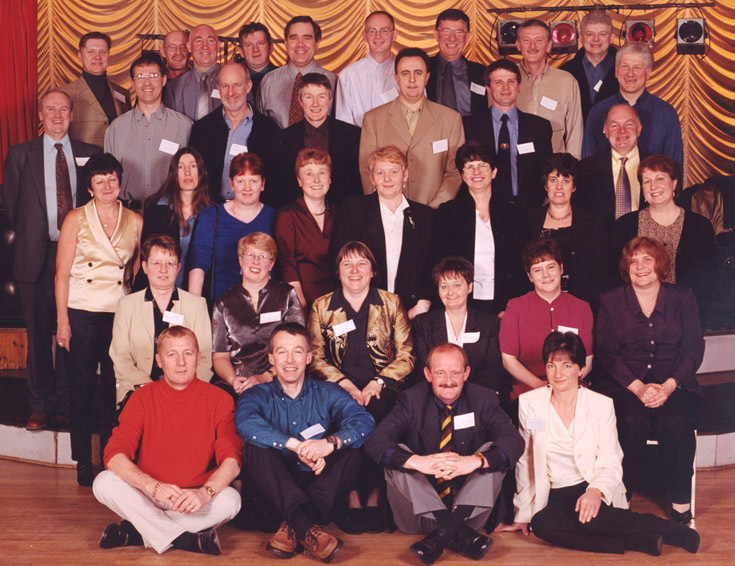 This photo was taken on March 10 2001 at the reunion of the 1966 (S1) intake in the Invergordon British Legion. Front row (L to R): Les Watson, Dougie Boak, Duncan Munro, Catherine Ross. Jim Dinwoodie do you have an e-mail address? Would like to find out how you are. I noticed that when I provided the names, the back row isn't complete. Right hand end, one of the two there is nameless. Can someone do the honours and fill in the blank please?